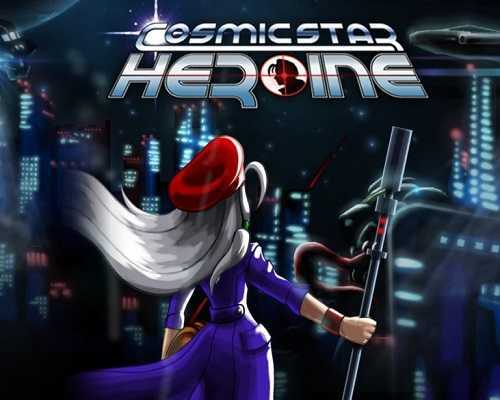 Cosmic Star Heroine is a RPG game for PC published by Zeboyd Games in 2017. Save the galaxy as a top secret agents after uncovering a horrible conspiracy! This is the hardest mission you can ever face as a top secret agents. Everthing and everyone is against you and you should do your best to save the day! Cosmic Star Heroine is a turn based RPG that uses 16-bit pixel art reminiscent of more classic titles like the early Final Fantasy games. You, Alyssa L’Salle, are a top secret agent known all across the galaxy. However, after a certain mission, you realize that the organization you work for has villainous intentions after obtaining a certain technology. As a result, you desert the organization and must now fight to stop the galaxy from being taken over. Cosmic Star Heroine’s combat system is fairly unique using a percentage meter known as “Style”. Put simply, style increases over the course of the battle, and the higher your style, the more damage you will do or the chances of inflicting status ailments increases. In harder difficulties thinking things through becomes all the more important, and taking into the count on how to use your style becomes even more apparent. Even on lower difficulties, the end game enemies are fairly hard, and actually, take time to survive and kill. 0 Comments ON " Cosmic Star Heroine Free PC Download "